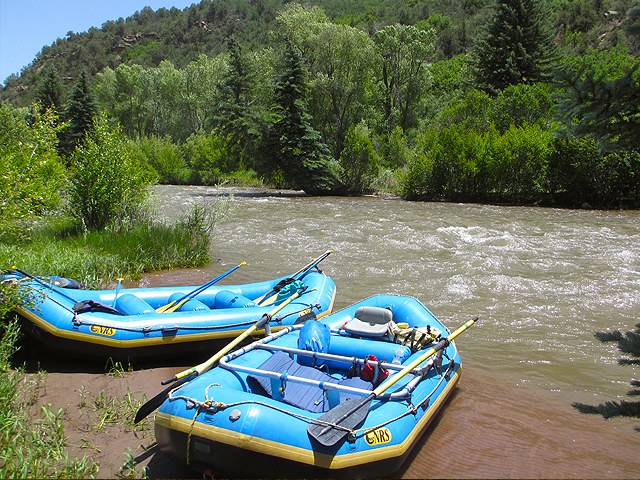 On January 28,, 2017 an ice flow occurred on the San Miguel River. Warm temperatures caused an ice dam to break, sending a wall of water, ice and debris downstream. 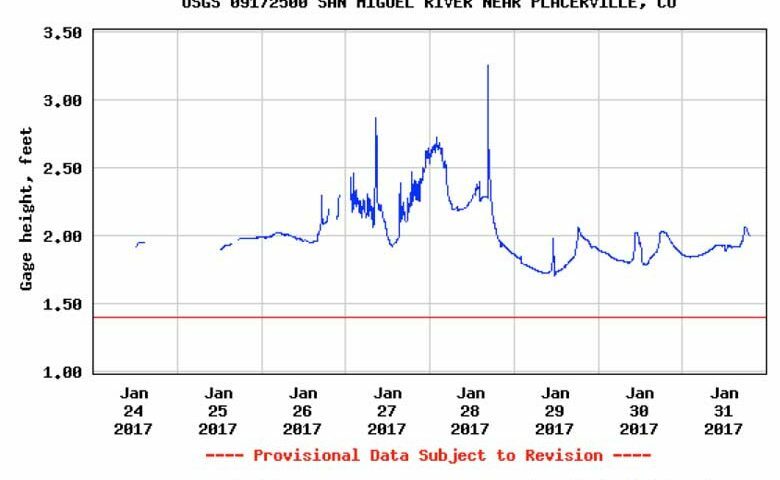 The event caused the water level of the San Miguel to rise dramatically, as evidenced by the USGS’s gage height reading, as shown above. Ice flows scour river banks, disrupt wildlife habitat and add to the river’s sediment load. The Coalition captured video of the ice flow at mile marker 91 on Highway 145 at approximately 4:45 PM.